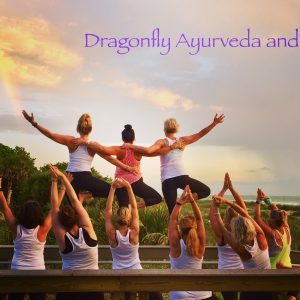 Why You Should chose Dragonfly School of Yoga for your Yoga Teacher TrainingWe offer the most comprehensive 200 HR yoga teacher training around. Our base training is steeped in ashtanga, Ayurveda and yoga therapy methods. Dragonfly School of Yoga considers the certification of qualified yoga teachers our highest mission. We acknowledge that in order to offer excellent yoga teacher certification we must provide the highest quality educational curriculum and texts, faculty teachers and support services for the students and graduates. We pledge to always deliver superior training and service to the students and graduates. We feel it is our responsibility to share our knowledge through the provision of teacher role modeling, adherence to ethical standards, the curriculum objectives and standards of the National Yoga Alliance for registered yoga schools. We are a diverse faculty from multidisciplinary yoga certifications committed to building an honest and supportive culture in which everyone is treated with warmth, dignity and respect.Whether you are wanting to deepen your personal understanding and practice of yoga and/or make teaching Yoga your career path, or want to further your career and take it to the highest level by entering our Yoga Therapist Training program, we believe that Dragonfly School of Yoga and Yoga Therapy will offer you the best training and education available.Included in your yoga teacher traing you will get unlimited access to all Dragonfly yoga classes during your training!We can't wait for you to experience all that yoga has to offer!ૐ To provide a comprehensive Basic Level Yoga Teacher Certification to participants who seek to teach yoga to individuals in private or group settings.ૐ To provide the foundation to enable the student to deepen their personal practice and develop a sadhana (daily spiritual practice)ૐ To provide ongoing structured and unstructured support to participants leading to certification. ૐ To certify participants under the educational standards set forth by the National Yoga Alliance for approved registered yoga schools. ૐ Provide creative educational tools that aid participants in acquiring teaching skills. ૐ Provide creative educational research projects that aid participants in understanding the many physical and psychological challenges students may bring to the asana class. ૐ Provide ongoing feedback to help participants build appropriate teaching language. ૐ Provide for frequent class demonstrations by students that aid in the reduction of anxiety associated with speaking in front of audiences. Option 1 ~ Single Payment Plan = $2600.00 Save $100.00 Due before 1st day of class. No Refunds. However re-enrollment in future classes is acceptable and encouraged. All students who attend our program are welcome to come back free of charge to any of our YTT trainings to refresh their knowledge. Option 3 ~Four Payment Plan = $700.00 Due BEFORE 1ST day of class. Payments 2-4 due May 19th, June 30th, Aug. 11th. 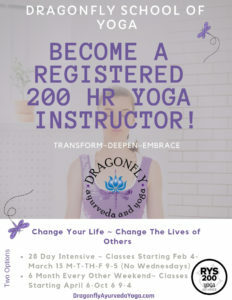 Tuition includes Dragonfly Exclusive YT Manual, Books and UNLIMITED yoga at Dragonfly Yoga Studio during your training! No refunds. However, we understand that life can get in the way and the student is welcome to re-enroll at anytime during any future Dragonfly School of Yoga 200 HR program to either complete their program or to enhance/refresh their knowledge. This opportunity is open to all students even if you have completed the 200 HR program. Self-love is never an easy job but it is one of the most important foundations for everything in our lives. 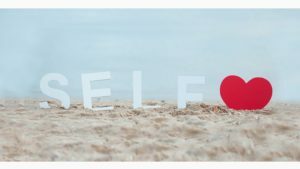 The lack of self love can lead to fear, anxiety, resentment, obsessiveness, perfectionism and so much more. Join us for a 4 hour workshop that will help quiet the thoughts that get in the way, discover the true "self" and love it! Are you curious about yoga? Want to find out if yoga is right for you? Come to this free workshop to find out what all the hoop-la is all about! In this workshop we will discuss yoga philosophy and why we do the things we do in yoga. We will review all the different types of yoga so you can decide what might be best for you and you will get to try out one of our aerial swings if you want! We will answer any questions that you may have. You will you with a good understanding about yoga and if it is right for you. 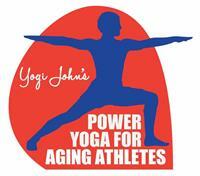 Yoga can be for every fitness level, age...everyone. Come find out the amazing, healthful benefits of this ancient practice. Yoga Teacher Training Students will be assisting in this workshop to make this a more interactive and personalized experience. 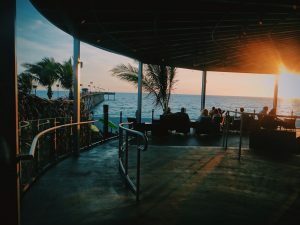 Join Dragonfly along with Unity Yoga from St. Louis in this beautiful Sunset Yoga Practice on top of Sharkys Rooftop. Yoga practice will be from 6:30-7:30 and afterwards enjoy cocktails and appetizers included!! This fun, relaxing and informative workshop will be held at the home of Timi McMillan at Venice Golf and Country Club. This will be a restorative and healing time of yin yoga led by Timi McMillan, a mind/body/spirit healing meditation lead by Michael Broy and an Ayurvedic discussion along with a nurturing Ayurvedic Lunch. Come join this small group in this wonderful experience of yoga and the yoga lifestyle. Space is very limited so sign up quickly! Join Dragonfly along with Unity Yoga from O'Fallon Illinois for a Summer Solstice 108 Meditation. We will start at 6 AM for a mindful meditation. This will be a wonderful way to celebrate summer solstice! Location : Service Park Entry off of Beach Road. Call for directions! Join Dragonfly and Unity Yoga and Wellness from O'Fallon Illinois for a sunset painting, meditation, gentle practice that includes art supplies, drinks and shrimp boil! This will be a fun and social gathering to renew the spirit and strengthen community. JOIN US!! In her fun, inspiring workshop, Jessica DiLorenzo, of Trikona Designs, leads attendees in the sacred art of mala making while instructing on how to use the mala to bring out the beauty, light, love and strength each of us has within. Creating a mala works to open hearts and serves as a talisman for individual empowerment and well-being. Each attendee leaves the workshop with a one-of-a-kind mala and a personal mantra. You will also explore the colors associated with the chakras as well as the healing vibrations of several stones in order to guide your selection of beads as you create your one of a kind piece. 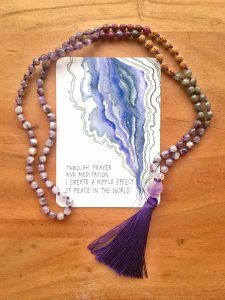 $70.00 Fee ~ Price includes supplies to create one mala with rudraksha seeds or Tulsi wood + 40 gemstones of your choice, and a mantra and meditation practice. Jess' collection of malas and bracelets all contain empowering stones, crystals and seeds gathered from around the world. The rudraksha seeds and tuldj beads come from the holy city of Vrindavan in India. Each mala is hand knotted with 108 beads and one of a kind. They can be used to deepen one’s yoga practice, or wear them as a sweet piece of jewelry. Each mala is a unique combination of gemstones, seeds, and tulsi wood. The gemstones Jessie uses are believed to offer different healing qualities. For example, rose quartz is believed to open the heart chakra and elevate self-love, and amazonite can help you tap in to your truest most authentic self. May you be happy and free and enjoy every moment of this practice! ➜ In addition, this program will:ૐ Provide creative educational tools that aid participants in acquiring teaching skills. We love Ashtanga!!! Join us in this exploration of Ashtanga and experience a sample authentic ashtanga half led primary that we have regularly scheduled on our yoga class schedule. Discover the rich history of ashtanga, the beginning sanskrit chant and what it means, the drishti gaze (focus), the bandhas and how this works in your practice along with discussion of proper ashtanga primary sequencing, modifying the ashtanga practice to meet your specific needs and how to incorporate this amazing, healing practice known as Yoga Chikitsa which means the original yoga therapy. We will be discussing the primary series along with mysore style ashtanga classes. 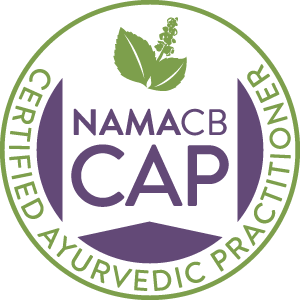 2 CEU's available for Registered Yoga Alliance Instructors!!! Yoga Teacher Training Students will be assisting during this class to enhance your experience. Discover how Ayurveda can help you live a more balanced and healthy life. 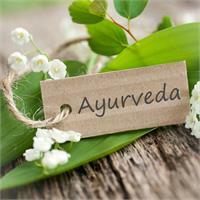 Ayurveda means science of life. 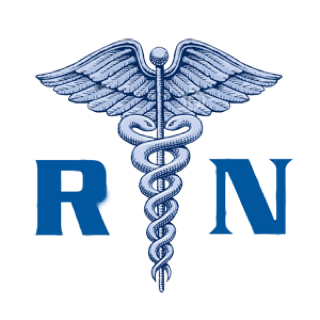 It is the oldest health care system known and is the foundation for western medicine. In this workshop you will discover your unique dosha and how to adjust simple lifestyle changes to meet your specific needs and live a more balanced life. We will discuss dincharya (daily rituals) and you will leave with a good understanding of what you need to incorporate into your daily life for your specific dosha. We will also taste kitchari - a foundational food in Ayurveda for cleansing and overall nutrition. Come join us for a fun and tasty afternoon of Ayurveda and Health!! Radically transform your life with this 60 day program. 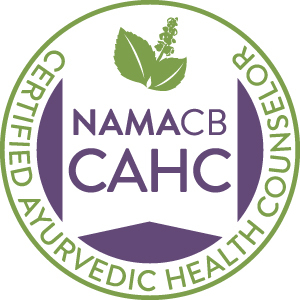 A truly doable, life changing experience where you will learn to incorporate ancient wisdom with modern knowledge for a common sense approach to change your life so that you can live authentically and in optimal health. You will gain a sense of well being, experience weight loss, peace, connection, calm and balance the pace of you life and learn a new way of living and being. explore spirituality to lead a balanced and more fulfilling life (regardless of your spiritual beliefs). Unlimited access to all yoga classes at Dragonfly for the entire 60 day program. You will gain EMPOWERMENT OVER YOUR LIFE! $260 worth of product and supplements to get you started on your new life including, Transform Your Life Book, Dragonfly Journal, 3 day kitchari supply, neti pot, nasal oil, tongue scraper, body brush, personal body oil based on your constitutional makeup,2-60 tablet bottles of Dragonflight Rejuvenative Herbs, 2-60 Tablet bottles of Super Digest Blend, 16 0z Collagen, Dragonfly Super Greens, Dragonfly Tranquility, and personalized food guides with recipes. Weekly Tuesday evening meetings from 4pm to 8 pm for a meal and educational talks on how to change your life one small step at a time and cooking demonstrations. Explore spirituality to find peace and a deep connection within. online support with a Facebook support group where you can ask questions and find inspiration throughout your journey. You will learn your body constitution and how to make educated choices based on your unique constitution. Dragonfly Journal specific to the Transform you Life Program that will keep you on track with your goals to ensure optimal success. Unlimited classes at Dragonfly during the time of the program. Dragonfly Annual Members get 20% off of program!! Lotus 6 Month Members get 10% discount off of program!! Week 9 - Saturday, December 22, 2018 10-12:30 pm CONGRATULATIONS!!! YOUR HEALTH IS NOT AN EXPENSE BUT AN INVESTMENT. THE MOST IMPORTANT INVESTMENT YOU CAN MAKE! INVEST IN YOURSELF TODAY! Click HERE to sign up now to reserve your spot. Early enrollment is encouraged as this is expected to fill up quickly. Are you curious of what Mysore is? Maybe you feel a bit intimidated about attending a Mysore class? In this workshop we will learn the history, tradition, and lineage of Ashtanga Yoga. Heather is known to share her love for the practice. Her teachings are in a safe, gentle but firm way, that acknowledges every student's capabilities in order to start a process of self discovery. It is an honor for her to pass along this sacred practice. This method is the safest and best way to learn Ashtanga. Not only do you build strength and flexibility, but you build awareness of yourself and your practice. We will go over the Mysore etiquette that is shared all over the world. We will learn some tools and tips on how to be comfortable in a Mysore class. You will learn the Tristhana method of Ashtanga Yoga - Ujjayi Breath, Asana, including bandpass and the precise gaze -drishti. Through this method practitioners develop control of the senses, a deep awareness of themselves and their inner sensations, emotions, and workings of the mind. In this workshop you will learn and experience the many benefits of a Mysore practice. Heather started her journey in yoga during her last year of college, in 2007. After graduating she made her first trip to Mysore, India in 2008 to practice at K. Pattabhi Jois Ashtanga Yoga Institute. Ever since, she has continued her travels and studies to Mysore, to practice under her teacher R. Sharath Jois and assist him at the main shala. In 2012, Heather was blessed upon receiving Authorization from KPJAYI. Over the years, Heather developed three Mysore programs in the United States (Florida), and lately she has been teaching in Indonesia, Thailand, The Philippines, Vietnam, Malaysia, Spain, and around the USA. We offer the most comprehensive 200 HR yoga teacher training around. Our base training is steeped in ashtanga, Ayurveda and yoga therapy methods. Dragonfly School of Yoga considers the certification of qualified yoga teachers our highest mission.We acknowledge that in order to offer excellent yoga teacher certification we must provide the highest quality educational curriculum and texts, faculty teachers and support services for the students and graduates. We are a diverse faculty from multidisciplinary yoga certifications committed to building an honest and supportive culture in which everyone is treated with warmth, dignity and respect. teach yoga to individuals in private or group settings.  To provide ongoing structured and unstructured support to participants leading to certification.  Provide creative educational tools that aid participants in acquiring teaching skills. physical and psychological challenges students may bring to the asana class.  Provide ongoing feedback to help participants build appropriate teaching language. with speaking in front of audiences. necessary for a quality yoga teacher. We offer 7 Month (every other weekend classes) and 28 day Monday through Friday intensives. Option 3 ~Four Payment Plan = $700.00 Due BEFORE 1ST day of class. Payments 2-4 due May 19th, June 30thth, Aug. 11th. Traditional led Ashtanga primary series class, all postures and counting in Sanskrit. We will discuss the very specific breath, bandhas and drishti of Ashtanga and experience what ‘Vinyasa’ means according to the Ashtanga method. We will flow through the standing postures with modifications in the sitting postures and inversions- each person will be encouraged to attempt the postures at their level of ability, staying focused on the connection of the breath. With chanting, pranayama and meditation. After the yoga practice, we will examine the background of the Ashtanga Vinyasa system, as well as some yogic philosophy and there will be time for Q & A’s. * do not eat 2- 3 hrs before * some Ashtanga/Vinyasa experience required * modifications for beginning level students $ 60 / 10% discount for early registration if paid by March 31st. Prepayment is required. 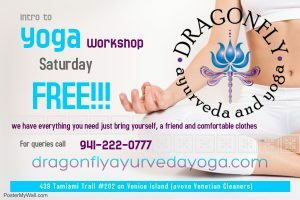 Please go to www.dragonflyayurvedayoga.com to register and pay online or call 941-222-0777 for more information. Angie Swiec Kambeitz is an Ashtanga Vinyasa yoga teacher, who has taken numerous trips to study with R. Sharath Jois at KPJAYI in Mysore, India. She has practiced yoga since 1998, studied with many teachers of different traditions of Hatha Yoga, and has been teaching since 2003. In 2007 she shifted her focus primarily to Ashtanga, which emphasizes connecting movement to the breath, and has enjoyed a daily Ashtanga practice since then. As a massage therapist, the healing quality of yoga is a primary focus, and yoga is used as a tool for optimal health. Angie is also an artist and filmmaker and has produced three films about yoga: ‘Mysore Magic’ , ‘Ashtanga Yoga with Basia Lipska’ and ‘‘Prenatal Flow with Basia Lipska’. Angie lives in Bismarck, ND with her husband and two kids, who keep her very busy and focused on practicing the “Seventh Series” of Ashtanga. FREE information and discussion class on the Dragonfly Transform Your Life 60 Day Program. If you are interested in dramatically changing your life to live your best, feel great and have the most optimal life but not sure what the Dragonfly Program is about then this is your opportunity to find out, ask questions and decide if the Dragonfly Transform Your Life program is for you. Bring a friend and enjoy this fun talk. This class will also be offered virtually so if you are traveling you can still take advantage of this amazing opportunity! FREE information and discussion class on the Dragonfly Transform Your Life 60 Day Program. If you are interested in dramatically changing your life to live your best, feel great and have the most optimal life but not sure what the Dragonfly Program is about then this is your opportunity to find out, ask questions and decide if the Dragonfly Transform Your Life program is for you. Bring a friend and enjoy this fun talk.This class will also be offered virtually so if you are traveling you can still take advantage of this amazing opportunity! Or better yet, gift this to someone you love with a Dragonfly Gift Certificate! 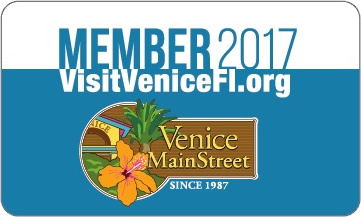 Click here to Buy Gift Certificates! SHARKYS ROOFTOP SUMMER SOLSTICE HATHA FLOW W/GUEST INSTRUCTOR TIMI MCMILLIN ~ COCKTAILS AND APPETIZERS INCLUDED! Come join us for our celebration kickoff of Aerial Yoga. In this workshop you will get to experiment with the aerial swings. We will discuss the two types of classes 1. Aerial fit which will combine yoga and TRX strength training along with deep connective tissue stretches using the swing and perfect inversions. 2. Gentle Aerial where we will use the swings as a wonderful rejuvenating practice to get deeper into the stretches. Come experiment with aerial and try this fun way of getting your practice on! Join together with Dragonfly and Unity Yoga and Wellness for Sunset Meditation and Painting. This will be a perfect way to end your day with meditation and creating your very own watercolor painting of the beautiful sunset. Artistic ability is not required - only thing you bring is you and your breath and a comfortable blanket to sit on. Prepare to be blissed! 6PM. All painting supplies will be provided. Earn 2 Yoga Alliance CEU's for Yoga Instructors!!! 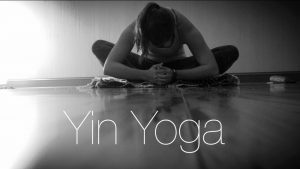 Join Guest Instructor Timi McMillin Owner of Unity Yoga and Wellness in St. Louis MO area and Dragonfly Ayurveda and Yoga for this 2 hour Yin Workshop. Teachers earn 2 Yoga alliance CEU's. We love Ashtanga!!! Join us in this exploration of Ashtanga and our kick off on getting authentic ashtanga on our yoga class schedule. Discover the rich history of ashtanga, the beginning sanskrit chant and what it means, the drishti gaze (focus), the bandhas and how this works in your practice along with discussion of proper ashtanga primary sequencing, modifying the ashtanga practice to meet your specific needs and how to incorporate this amazing, healing practice known as the original yoga therapy. We will be discussing the primary series along with mysore style ashtanga classes. Traditionally, the accepted meaning of yoga is “to yoke or join together”. References to this can be applied to unifying the body and mind, but can also refer to joining oneself to the teachings, philosophy or beliefs of another teacher or guru. While there are several beliefs pertaining to the exact origins of yoga, it is undisputed that its beginnings are in Eastern Philosophy and religion. The dispute among many church leaders and members leads to this question. Can Yoga fit into the Christian lifestyle without causing compromise in one’s lifestyle and relationship with God? We will be discussing this in the upcoming workshop at Dragonfly Ayurveda and Yoga on Saturday, February 25th from 1-3 p.m. If you have interests, concerns or questions Yoga and Christianity, we invite you to sign up. There is no cost for this workshop.